If you have fibromyalgia, or chronic pain, you have too much of a good thing. That thing is inflammation. Under normal circumstances, this natural response to toxins and infections keeps us alive. However, for some of us, inflammation runs in overdrive. It’s like someone flipped a giant switch that turned it on, permanently. Unfortunately, there’s no easy way to turn it off. Instead, we need to work on reducing chronic inflammation. If we do that, we’re healthier. We also feel better. Our pain levels decrease. Our energy rebounds. We may never hit 100 percent recovery. But any significant improvement is something to cheer for. Ten years ago, I could barely walk. It was a horrible time in my life. Since I wasn’t that old, and still had young children in the house, I envisioned a bleak future. Actually, the way things were going, this included riding in a wheelchair. Plus, the pain was so bad I could barely sleep. Since I already knew a fair amount about natural health, I realized I needed to get serious about inflammation. It was my enemy. Most holistic healers believe that environmental toxins feed chronic inflammation. Every day, we’re exposed to a wide range of toxins, in our food, our air, our cosmetics and even in our mouths. Many of us have a mouthful of “silver” fillings, which are partially made with mercury. This heavy metal has been linked to a number of diseases, including cancer. Over time, toxins build up in our body. The liver is where a lot of them are stored. This is a double-edged sword. That’s because this vital organ is also needed to remove toxins. But, if it’s not working well, they continue to build up. Anyone who spends time reading about natural health will hear about “detoxing.” However, the way you achieve this goal is controversial. I am personally not a big fan of radical detoxing. Instead, I prefer the gentle approach, which consists of avoiding future exposure, and your body will take care of the rest. Certain herbal remedies can help. For instance, soaking in an Epsom salt and lavender essential oil bath is a popular home remedy to remove toxins. But definitely check with your physician before doing any sort of detox, especially if you have chronic health problems. Anyway, I’ve never underwent a harsh detox regimen. All I did was change my diet to real food (mostly organic) and cut out the junk. I eat very little sugar, and if I do it’s USDA-certified organic. I cook my meals from scratch, and rarely eat in restaurants, unless I’m traveling. Although this sounds harsh, it means the difference between a life of better health or a life of living with a chronic infirmity. I chose the former. Getting healthy again took a lot of work. Actually, it took years. But, eventually, I started having fewer and fewer bad days. Then, the good days greatly outnumbered the bad. Then, I realized life had returned pretty much to normal. I still have to make sure I don’t overdo it. But I’m so much healthier. If I had to estimate, I’d say I’ve recovered about 90 percent. The other 10 percent is because I still have occasional pain. I’m now in the position to share my story with others. The many things I’ve done to get healthy again is contained in an easy-to-follow online course. It’s designed to give you ideas, so you can embark upon your own healing journey. Although I’m not a doctor and can’t give medical advice, I’m free to share my personal story, for encouragement and inspiration. You can find out more by clicking on the link below. People who think they need help getting healthy meals on the table should sign up for Real Plans healthy meal planning service, just for a month or two. This includes free chat or telephone support on how to start eating real food. I’ve used a ton of natural remedies, which I talk about in my course. But eating well has been the cornerstone of my recovery plan. I also avoid GMOs as much as possible. Genetically engineered food has been around for decades, and has taken over much of the US food supply. GMOs are found in many processed foods. Nearly of the corn and soy grown in the United States comes from genetically modified seed. 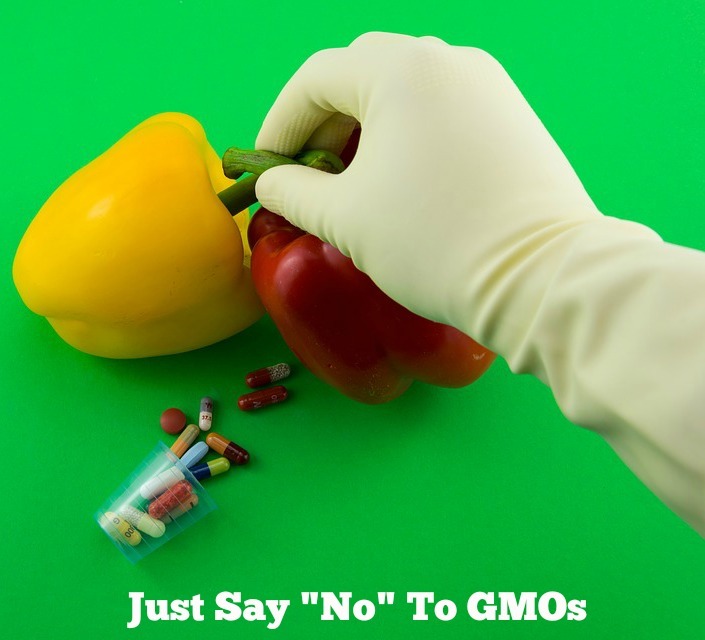 French researchers have linked genetically modified foods to cancer in lab animals. It’s also been found that GMOs can cause stomach inflammation in pigs.